What we found was very interesting. While the Galaxy S7 and S7 Edge outperformed the LG G5 in the first few benchmark tests with lower temperatures, the LG G5 came back and ran the benchmarks more stable and solid with lower temps nearing the end of the test. Which phone do you think did best here? 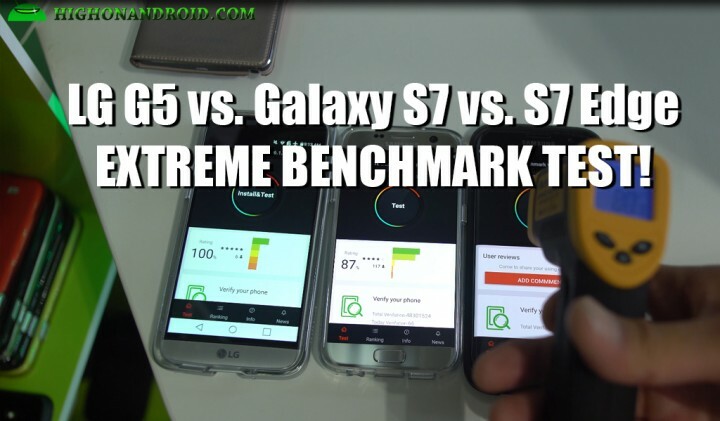 Next story Galaxy S7 Edge EXTREME Benchmark Test with ICE!